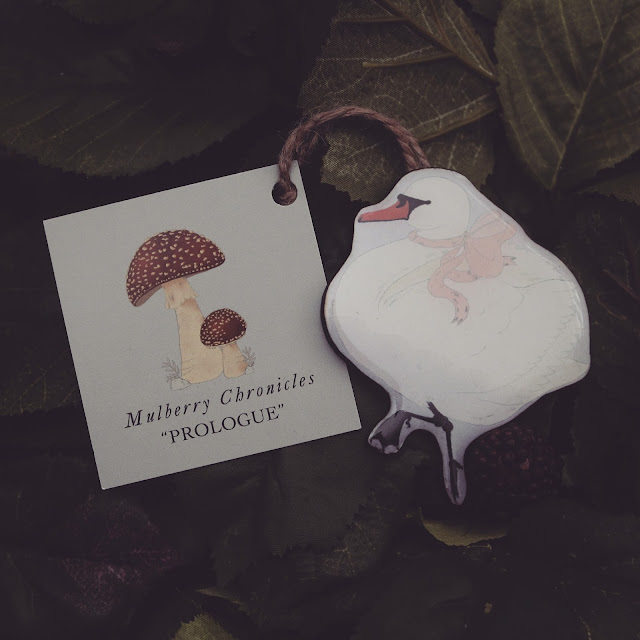 We have discovered something mysterious from deep within the forest - the tales of Mulberry Chronicles. 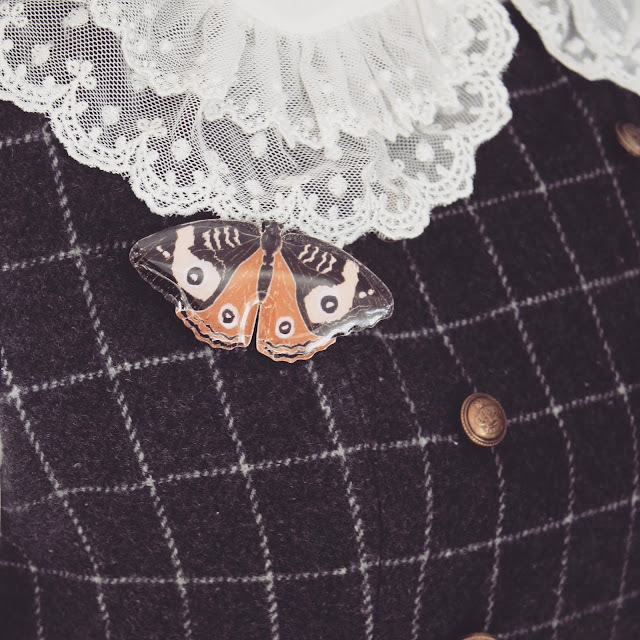 Stories inspired by history and folklore told through whimsical, handmade clothing and accessories. Their first collection appeared at the Chiffon Rose booth at Supanova Melbourne 2015. 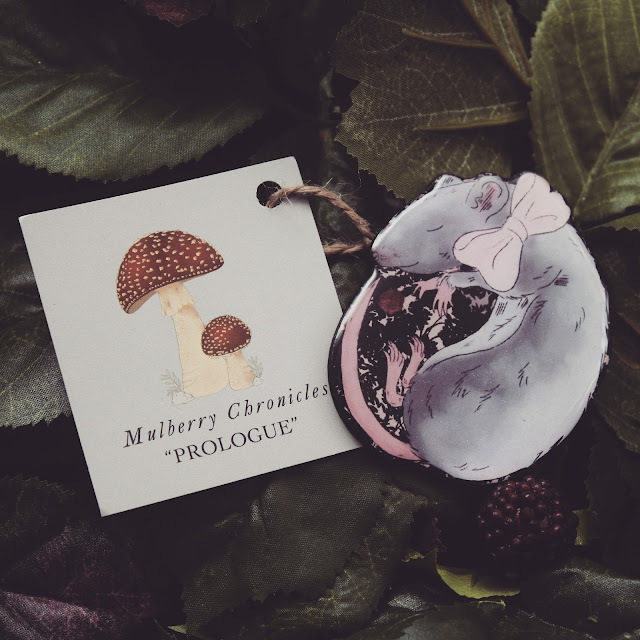 The tales of Mulberry Chronicles are told by the founder of Chiffon Rose, Kavya, who works as an illustrator for the cute and mysterious label. 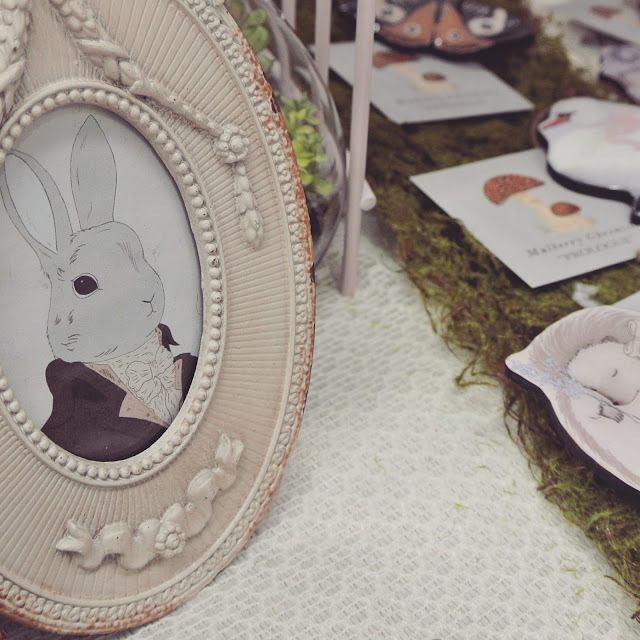 Kavya's illustrations are inspired by her love of animals, country life and European folklore. 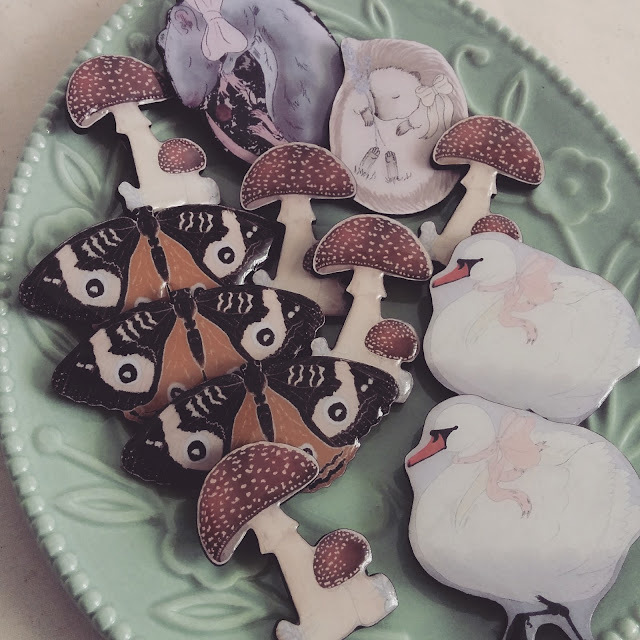 Treasured forest souvenirs then made their way onto our little online shop! We met the curious forest moth (below). Swan under Starry Skies - She glides over a calm lake, the mirrored night sky now rippling at the surface. We watch her from a distance, moving water forming a line in the night forest song. The friendly animals and woodland plants found new homes - but their friends will return shortly! 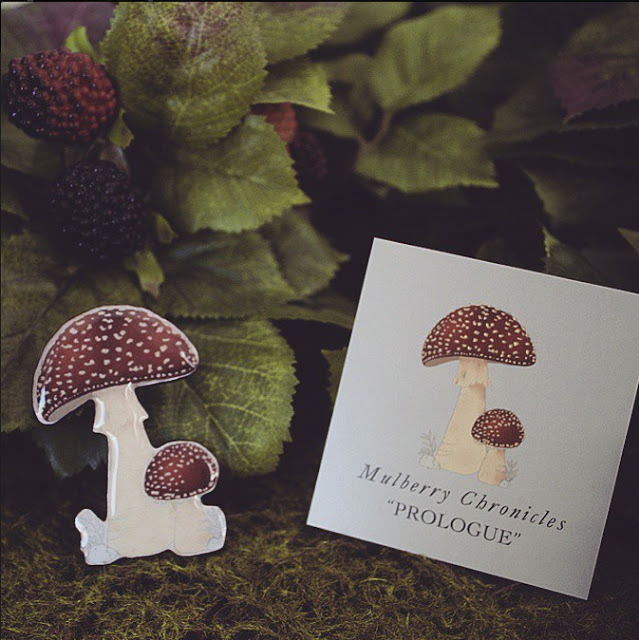 Including the signature Mulberry Chronicles brooch - the toadstool. 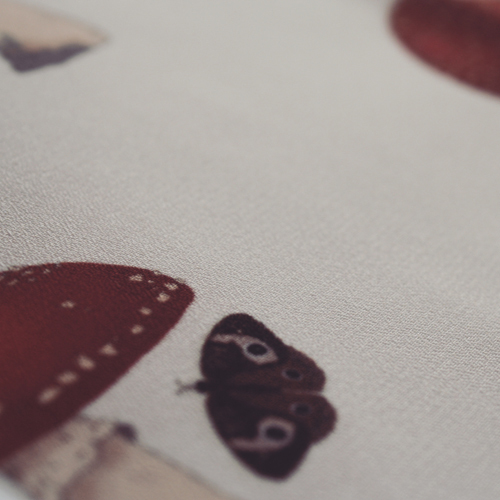 We can't wait to see what else is in store (here's a sneaky peek of another upcoming treasure! ).